Academy Award winning actress Gwyneth Paltrow has been named a mentor for Apple's upcoming "Planet of the Apps" (casting website) competition show, alongside hip-hop artist will.i.am and tech investor Gary Vaynerchuk, according to Variety. The reality TV series, co-produced by Apple and Propagate Content's Ben Silverman and Howard Owens, will be an unscripted program about apps and the people who make them. Apple is currently looking for up to 100 developers from San Francisco, Austin, New York, and Los Angeles to participate. In addition to mentorship, participating developers will receive up to $10 million in funding if they reach the final round of the show, and featured placement in the App Store at the end of the show. The series is set to debut in 2017, with filming to begin in late 2016. Developers can apply until August 26. 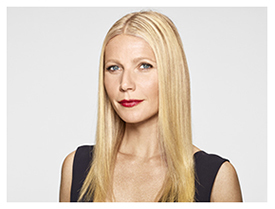 Paltrow served as the female lead of the Iron Man franchise, having portrayed Pepper Potts in Iron Man, Iron Man 2, The Avengers, and Iron Man 3. She has also appeared in the popular Fox musical series Glee, for which she won an Emmy Award, and dozens of hit movies like Shakespeare in Love and Seven. Despite backing Planet of the Apps, and reportedly pushing into original programming, iTunes chief Eddy Cue recently said Apple is "not in the business of trying to create TV shows." Cue added that Apple is only interested in entering the content space when the projects are tied to its existing products like Apple Music. Just when you think it couldn’t possibly get any more unbearable. Could they be any more tone deaf? She represents all the negative stereotypes about Apple. Between her golden... device and her countless snooty soundbites they couldn't possibly have picked a worse ambassador unless they were invented one for a mockumentary. Perfect fit. She did name her first born after the company. Off to a good start..... just like the Apple Watch Edition. How about "Coding with the Oldies" with Richard Simmons? BHHHAAAAAHAA HAAAAAA HAAA HA HAAAA!!!! MENTOR!!!! AHHHHH HA HA HA HAAAA!!! I'm sure she knows all the ins and outs of app developers. What a pile of crap. What's next? Eddy Cue is the Tim Gunn of the show? AHHH HA HA HA! I'm starting to think my next laptop won't be a MacBook. I don't like the idea of anyone spending my money on this and diversity reports. I don't think Apple could find a more unlikable host...she's insufferable. Maybe I'm out of the loop but which app(s) did she create?